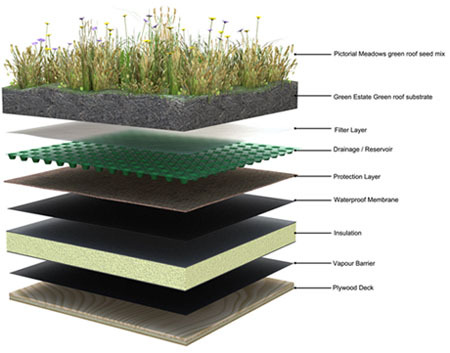 We know from research that green roofs have many benefits: for the environment; for buildings and for people. However, there are still gaps in this knowledge and we would like to carry out research into these areas. We are currently putting together a programme of research opportunities. As green roofs are a recent innovation in the UK, we are forming links with several universities in London in order to investigate some of the social, economic, and physical (energy) benefits. Jane Dickson is one of the very few social scientists in the world researching the social benefits of green roofs and is investigating the social and some of the economic benefits of the community project for her PhD.